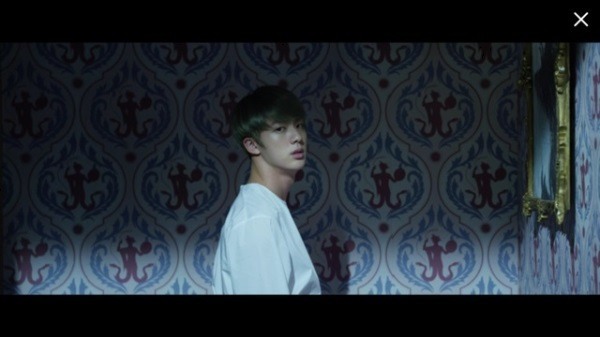 Kick starting the week on Monday’s Naver V app was BTS’ Jin, starring in the K-pop idol groups on-going “Wings” short film series. The latest installation, “Awake,” marks the seventh short film of the series, and raked in nearly 600,000 views and more than 6.2 million hearts. “I have cried and laughed many times, but all the times were incredibly beautiful,” read one of the film’s excerpts. 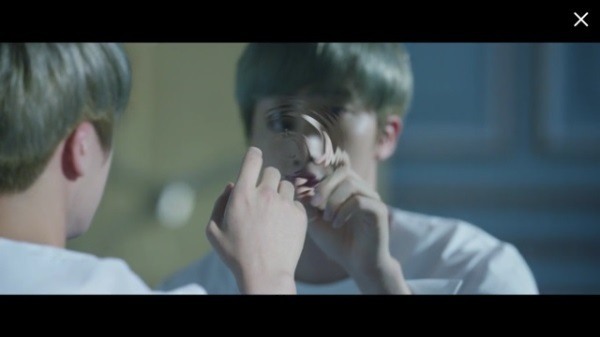 Following the opening scene, the latter half of the film featured audio of a short solo single by Jin. 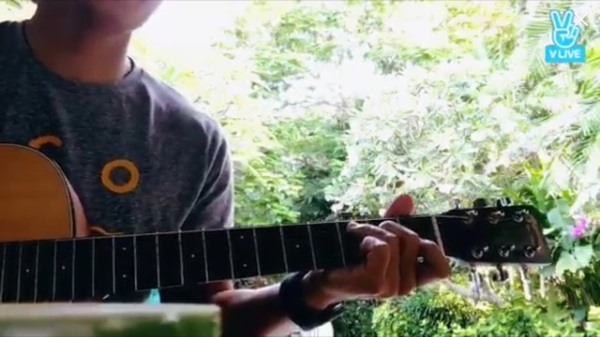 And despite the highly interpretational approach to the video’s content and its meaning, the episode’s comment section was flooded with gushing remarks about the soulfulness of the singer’s voice. Infinite member Woo-hyun also joined yesterday’s broadcast in a solo “comeback countdown” broadcast where he was expressing his excitement of jumping back into the limelight with new music. 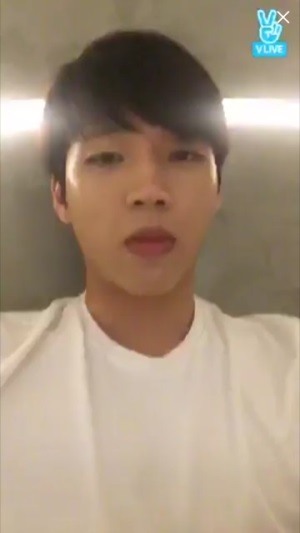 And with only one week left until Infinite’s much awaited new album, Woo-hyun shared that he is currently on a short vacation to clear his head. “I’m away right now on a little trip to relax and have fun,” he said, adding that he is hoping to get as much rest as possible before the group’s promotional activities are set to begin. During the episode a number of fans jokingly commented that the singer should have prepared some sort of script for the show instead of just winging it. “Prepare a script? There is no script, it’s just me. Stop teasing me or I’ll feel disappointed,” he responded in laughter. However despite some fans’ quips, his scriptless episode attracted roughly 30,000 live viewers during its real-time broadcast. 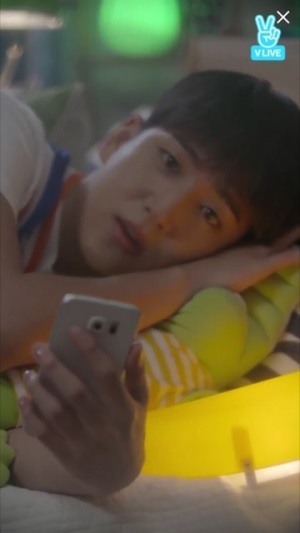 B1A4 member Baro also joined Monday’s V app is a very laid-back solo episode where the idol star casually conversed with fans from the comfort of his bed.